Although "trade facilitation" was added to the World Trade Organization agenda in December 1996, international trade barriers are still common among overseas countries. Trade facilitation is defined as "the simplification and harmonization of international trade procedures, which include activities, practices and formalities involved in collecting, presenting, communicating and processing data required for the movement of goods in international trade". This definition relates to a wide range of activities such as import and export procedures (e.g. customs or licensing procedures); transport formalities; payments, insurance, and other financial requirements, in order to fasten the cross-border trade and distribution of goods. These have lately created a strong interest from international business in the improvement of the infrastructure for international trade. The losses that business suffers through delays at borders, complicated and unnecessary documentation requirements and lack of automation of government mandated trade procedures are estimated to exceed in many cases of costs of tariffs. In view of the problem traders face during exportation, we generalize the situation on overseas import policy on Hong Kong and China's exports for easy reference. It includes customs charges, import licensing, documentation requirements, preshipment inspection, rules of origin, technical barriers to trade and application of sanitary, phytosanitary measures and useful contacts. Trade Bloc aims to establish a common market, to promote harmonious and balanced development of economic activities and closer relations among its Member States. The main purpose of trade bloc is to strengthen the negotiation to external parties. With a trade bloc, customs procedures and external tariffs are usually uniform and internal trade among members is usually free. There are several well-known trade blocs in different regions, such as European Union (EU), North American Free Trade Agreement (NAFTA), Common Market of South Treaty (MERCOSUR), etc. European Union (EU) -15 members: Austria, Belgium, Denmark, Finland, France, Germany, Greece, Rep. of Ireland, Italy, Luxembourg, the Netherlands, Portugal, Spain, Sweden and the United Kingdom. North American Free Trade Agreement (NAFTA) - 3 members: Canada, Mexico, and the United States. Common Market of South Treaty (MERCOSUR) "Mercado Comun de Sur" - 4 members: Argentina, Brazil, Paraguay and Uruguay. Associate members: Bolivia and Chile. Common trade measures include government policies and other technical barriers to regulate imports. These include import/export licensing; customs restriction; documentation requirements; transport formalities; payments, insurance, and other financial requirements; additional charge and duty requirements; quantitative restrictions and foreign exchange restriction. Apart from the above trade policy, product safety standards, product liability, labelling and marking are also common trade issues to traders on the goods entry into the importing countries. Overseas import policies will be changed from time to time. Exporters should confirm the country's regulations before shipment. For uncertain items, exporters can seek their importer's instruction when necessary. the establishment of an industry in the importing country is materially retarded by reason of the importation of that merchandise. If the competent department/commission (eg. ITC) determination is in the affirmative, the government of the importing country will make public an anti-dumping or countervailing duty order and importation of the merchandise becomes subject to the assessment of special dumping duties. These duties are equal to the amount by which the foreign market value or constructed value exceeds the purchase price or exporter's sales price (anti-dumping duty) or the amount of the subsidization (countervailing duty), as applicable. The anti-dumping duty is paid on top of the normal applicable tariff. The Generalised System of Preferences (GSP) is a set of trade concessions which industrialised countries have agreed to extend to qualified less developed countries. It permits duty-free or a reduced rate of entry of numerous manufactured or agricultural products, in additional to those products already classified as duty free under the original external tariff schedule. To qualify for GSP, all articles must be accompanied with a Certificate of Origin (GSP Form A) certifying that the article has met the relevant rules of origin and be imported directly from the beneficiary country. Hong Kong is now a GSP beneficiary under the GSP schemes operated by Canada and Norway, while China is a beneficiary to Australia, Belarus, Canada, Czech Republic, European Union, New Zealand, Norway, Poland, Russia, Switzerland, Slovakia and Ukraine. In addition, all China exports via Hong Kong to the EU are required to certify their non-manipulation process in Hong Kong. This can be done by applying for a Certificate of Non-manipulation from the China Inspection Co Ltd in Hong Kong, with words stating "This is to certify that the goods stated in this certificate had not been subjected to any processing during their stay/transhipment in Hong Kong." There are many forms of import quotas in various countries. In practice, there are absolute quotas and tariff-rate quotas. Absolute quotas limit the quantity of goods that may be imported into the importing countries in a specific period. Tariff-rate quotas permit a specified quantity of imported merchandise to be entered at free or a reduced rate of customs duty during the quota period. Common commodities, which are usually under import quota restriction, are clothing & textile products, food items, etc. Product liability covers all manufactured goods for all defects not ordinarily expected by a consumer. The product liability regulation is common in the US, EU, Japan, etc. After finding the defect, the consumer has between 5 to 10 years from date of sale or manufacture to file a suit depending on the product. Most products have a ten years liability (the time duration to file a suit against the importer or manufacturer, is subject to the importing country's regulations). The liability cannot be transformed even with a disclaimer attached in the product description. Value Added Tax is an indirect tax. The principle of the tax is paid on the value added at each stage of business process. The importers pay tax when they buy goods from suppliers, and charge the tax when importers sell them on. The tax on processors or merchants is levied on the amount by which they increase the value of items they purchase. 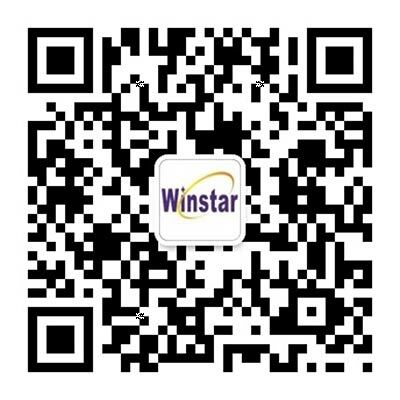 © 2019 Winstar Global Logistics Ltd.